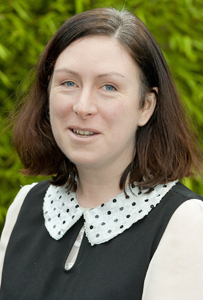 Fiona is a founder and Director of Eneclann, a Trinity College Campus Company established in 1998, that specialises in history and heritage services. Fiona and her team have also brought you the Irish research for Who Do You Think You Are?, PBS’s Faces of America and Finding Your Roots, RTE’s Ancestors During the Famine, and others. Fiona and her research team have also completed some of the largest historical research projects ever undertaken in Ireland, developing new methodologies to be tested and used by other resarchers. Work includes an audit of the accuracy of the Irish Genealogical Project’s database of church records, and the Irish Battlefields Project for the Department of the Environment.